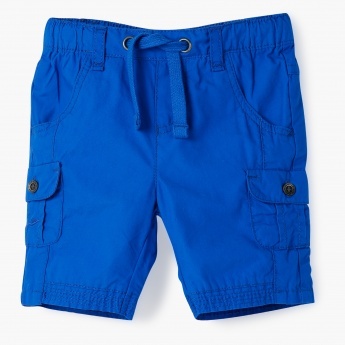 In a captivating jewel tone, these knee-length shorts are certain to brighten up your boy's ensemble. 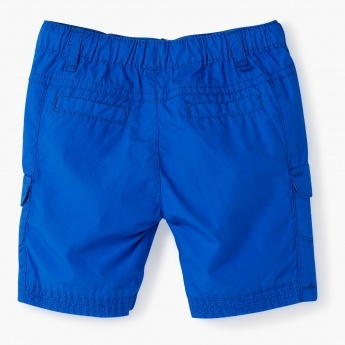 They are fashioned with a combination of elasticized and drawstring waist for a snug fit. The six-pocket construction adds to their appeal.